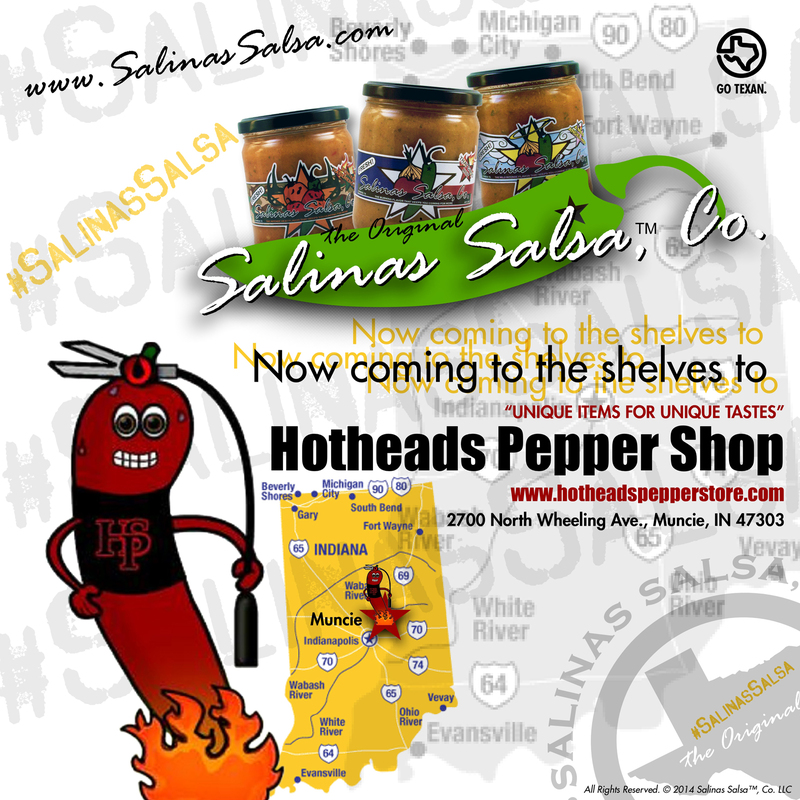 Salinas Salsa on the shelves of the Hoosier State of Indiana more in point on the shelves of our newest carrier of #SalinasSalsa Hotheads Pepper Store! Muncie IN northeast of Indianapolis. We are super excited to be there and having talked to the owner, I think it is going to be a great partnership in the future. So Indiana go find Hotheads Pepper Store and you will find Texas's best salsa in #SalinasSalsa! This is all natural products, no artificial preservatives, no sugars, no tomato paste or juice, gluten free literally nothing bad and all good healthy stuff with a fresh taste to match! We have a 12 month shelf life with no artificial preservatives or anything we are preserved naturally. Once you open it, it has 2 months in the fridge! So if you want some great salsa in Indiana with a Texas flavor go to Hotheads Pepper Store!